A vintage sign decal illustrating an ice cream from our collection of retro wall stickers! Perfect for those that sell ice cream or simply love it! 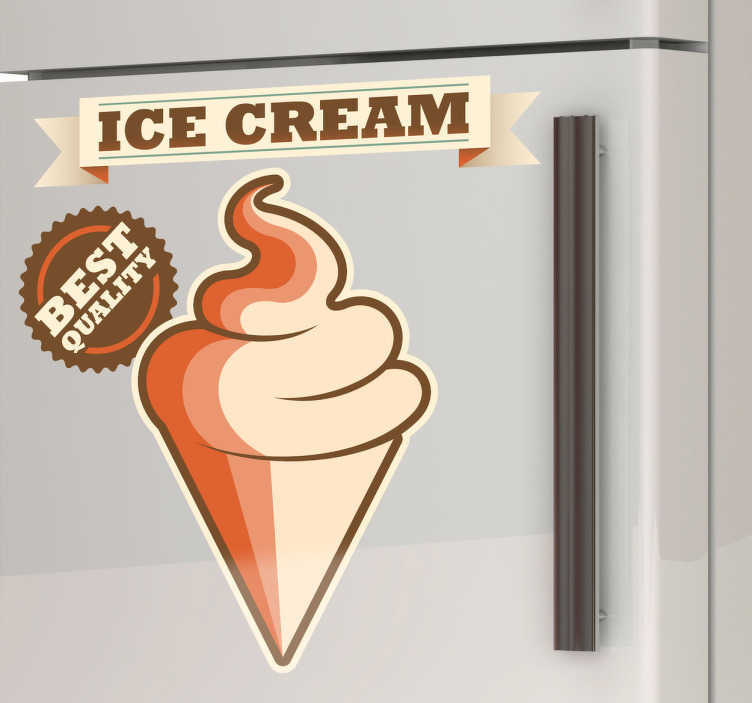 If you own an ice cream van or a shop then this ice cream sticker is perfect to make your place more attractive! It is easy to apply and leaves no residue upon removal.